Unite has expressed its anger and dismay after commitments to ensure that workers on the HS2 project would receive the correct overtime rates were reneged on. Last month Unite exposed how labour supplier Bowercross Construction Ltd which supplies workers to the Costain/Skanska joint venture (CSJV) which is undertaking enabling work on the HS2 project at Euston was not paying workers the correct overtime rates, which on average was costing workers over £100 a week. Following Unite’s revelation CSJV issued a statement promising the correct rates would now be paid. Following a meeting with Peter Jones the project director of the CSJV, Unite was assured that Bowercross was already in receipt of the money to pay the workforce the correct overtime rates and that all workers would receive back pay for the money they had been underpaid. However, after paying the correct overtime rates for a fortnight, Bowercross has now informed the workers that it will not be paying the correct overtime rates, claiming it has found a ‘loophole’ in the relevant agreement which means they don’t have to. Unite which is the signatory to the relevant agreement is not aware and cannot identify any such loophole. Unite has estimated that the workforce is owed a total in excess of £1m in underpaid overtime. 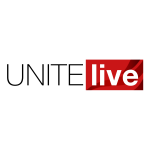 Unite is now organising to challenge this decision industrially and will take legal action where appropriate if an early resolution to the issue cannot be found. Unite national officer Jerry Swain said, “Workers on HS2 are being treated with contempt. “HS2 should be the premier construction project in the UK but the contractors and subbies on the project can’t or won’t pay the workers correct rates of pay,” he added. “It is worrying to think contractors brought onto HS2 by Costain/Skanska are seeking loopholes in order to cut workers’ wages. I dread to think what else is going wrong with this project. “Unite had assurances from CSJV that the correct overtime rates would be paid and that workers would receive back pay for the money they were owed. CSJV also said that Bowercross had already been paid the money. “Questions need to be asked about where that money has gone and what action CSJV will take against a subbie who has flagrantly disregarded its wishes,” Swain added.